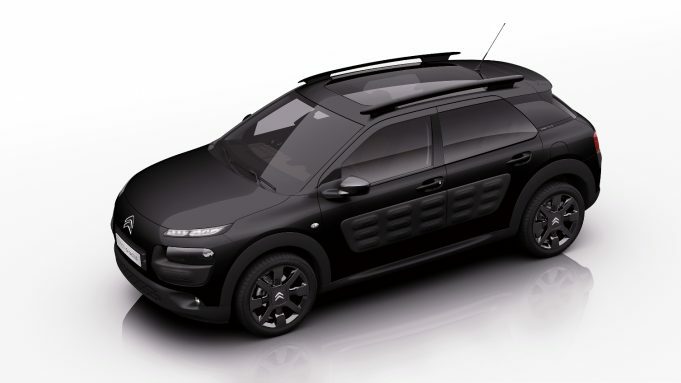 IT’S been dubbed the one-tone black edition of the Cactus, a special version of the unique looking Citroen, limited to just 20 cars, and loaded up with a panoramic roof and 17-inch black alloy wheels. Powered exclusively by a new 1.2-litre 81kW turbo petrol engine and driven by a 6-speed automatic, the cool looking Cactus hits the road at $30,990 drive away and also gets combination cloth and leatherette seats. There’s a grey leather dash and special one-tone badging as well, along with a host of standard features including a 7-inch touchscreen infotainment system with SatNav, DAB+ digital radio and amp, Bluetooth connectivity and a USB input. The Cactus also comes with a reverse camera with rear parking sonar, automatic lights and wipers, climate control air con, and a host of safety features including six airbags, and ABS, EBD, EBA, ESC and HSA. In keeping with the ‘black’ styling, the airbump side panels are of course, black, while there’s also 60/40 split fold rear seats, a top box storage compartment (8.5-litres) and bi-tone leather steering wheel with chrome insert and controls.